Marsh Bridge Cottage, originally an Exmoor Victorian game keepers cottage has been beautifully transformed by my husband Jon, a former local Exmoor builder. We offer quality bed and breakfast accommodation with delicious optional evening meals, on the edge of Dulverton in the beautiful Exmoor National Park. 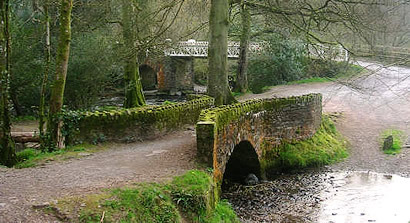 Peaceful and idyllic, set on the banks of the River Barle, we are nestled amongst woodlands with riverside walks to neighbouring Tarr Steps, one of Exmoor’s most popular beauty spots and Dulverton itself. 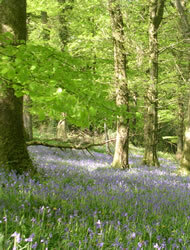 We are perfectly situated for exploring the beauty and splendour of Exmoor during the changing seasons. Relax beside the River Barle in our garden and watch the Exmoor wildlife around you. 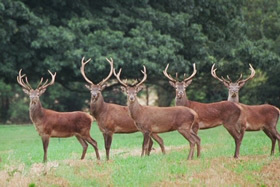 Exmoor Red Deer grazing in nearby fields and watch an abundance of birdlife whilst enjoying a delicious Exmoor cream tea with homemade scones and jam. Guests are welcome to leave their cars at the house and start exploring Exmoor from our doorstep with way mark walks that surround us. 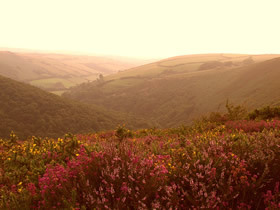 We have lived locally all of our lives and we will be pleased to share our local knowledge of the Exmoor and Dulverton area. During the winter months why not take advantage of our superb location by the river whereby canoes can gain access to the water and paddle to Dulverton, Exebridge and beyond on the River Exe.